It could be a big week for DSW, Costco, and Dave & Buster's shareholders. 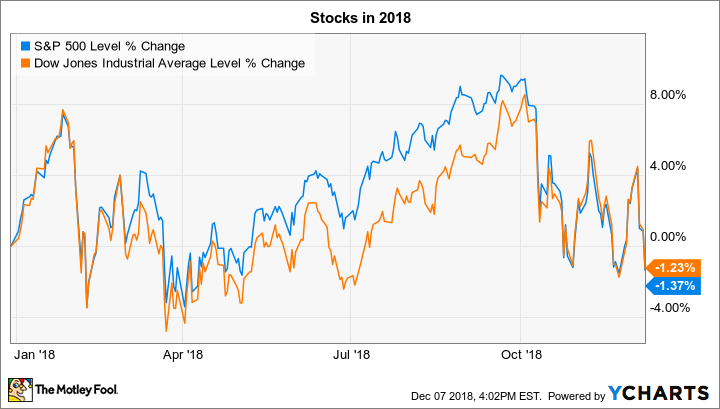 Investors endured significant volatility last week as both the S&P 500 (SNPINDEX:^GSPC) and the Dow Jones Industrial Average (DJINDICES:^DJI) shed over 3% to land back in negative territory for the year. The movement of broader market averages could again be driven by global-growth concerns in the week ahead, but a few stocks might break from indexes due to their upcoming earnings reports. Below, we'll look at the metrics that could send shares of Dave & Buster's (NASDAQ:PLAY), DSW (NYSE:DBI), and Costco (NASDAQ:COST) moving in the trading week ahead. Investors have a few big questions heading into Dave & Buster's third-quarter earnings report on Tuesday. The entertainment chain has endured shrinking sales for a year, but a significant improvement in that trend last quarter suggests that this streak might be coming to an end. Recent game introductions, like exclusive virtual reality titles, have helped, but this quarter's results should should benefit from major changes made on the restaurant side of the business. Shareholders will get an important update on the company's latest crop of store openings, too. These have trended toward smaller-format locations that emphasize gaming over dining, and Dave & Buster's needs the new locations to produce solid returns if the company is going to reach its goal of doubling its store base over the long term. Finally, watch for an update to the chain's holiday outlook that right now predicts a second-straight year of modestly falling sales in 2018, as net income stops at about $105 million. These top- and bottom-line forecasts were both raised in its last quarterly report and could take another step higher on Tuesday if the positive momentum has carried through over the last several months. DSW stock is on a roll this year, mainly thanks to a blockbuster second-quarter report that in late August showed off a solid sales rebound for the footwear retailer. Revenue growth shot up to a 10% pace from 2% in the prior quarter to mark its third-straight quarter of positive comps. Rising customer traffic and increased spending per visit combined to imply strong market share gains, too. The company also benefited from firmer pricing, which helped gross profit margin improve by nearly 3 full percentage points, to reach 32.1% of sales. Investors are hoping to see those impressive sales and profit trends continue in DSW's third-quarter report due out on Tuesday. The stock's short-term performance likely will hinge on management's outlook for the key holiday quarter. If its customer traffic and pricing trends hold up, there's every reason to expect DSW to post its best annual sales result in six years. Warehouse retailing-giant Costco will announce its fiscal first-quarter results on Thursday in a report that's likely to contain plenty of good news for investors. Its monthly sales figures show that it entered the holiday shopping period with healthy momentum, as revenue at existing locations rose 7% in October. That pace is just a bit slower than the one set in the prior quarter, which benefited from a 5% surge in customer traffic. Membership trends are holding up well, too, with renewal rates inching back up toward a record 91%. Beyond the perennially competitive holiday selling period, Costco's fiscal 2019 results might be influenced heavily by price inflation. Back in early October, the chain's management team suggested the company's their low-cost sales approach could deliver even bigger market-share gains in an environment where prices are rising on groceries and home supplies. We'll find out on Thursday whether that was the case over the summer months and into the start of the holiday selling crush.